Only one sports-related find last week: a Billy Ripken bobblehead that I’ll eventually show here. Most everything else was video-game related, and has sold well so far. So we’ll delve some more into the past here. This was an eBay find for $1.00, and while I’ve considered reselling it, I’ve held on to it for awhile because I like it more than it’s probably worth. 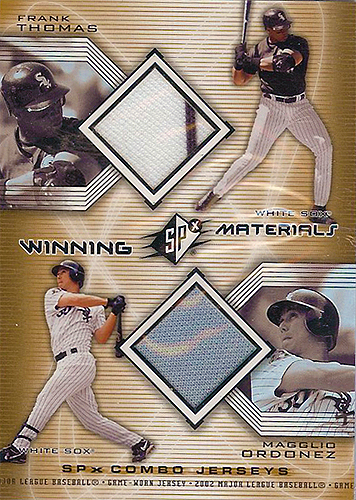 Having a game-used of Frank Thomas, especially with the stripe, is just awesome. Totally worth it. Maggs is just a bonus. 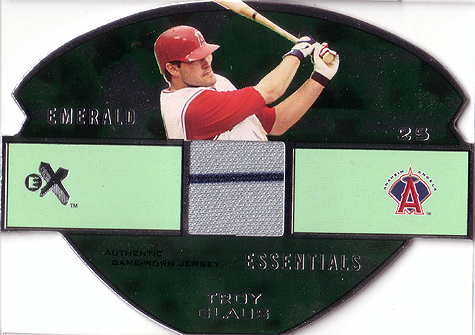 And the design isn’t too bad, which is surprising for a dual-swatch card. 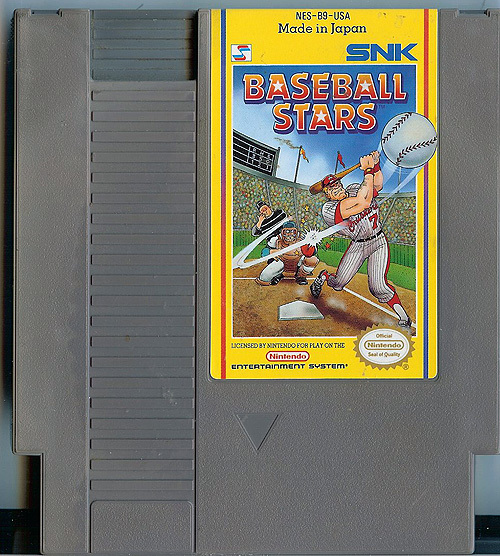 Baseball Stars was one of the first sports games to have data memory, therefore players could create a team, configure baseball league & play a season, and the game’s memory chip stored cumulative statistics.Baseball Stars was also the first sports game for the NES to have a create a player feature; giving gamers the power to name their players, as well as their teams. The game also introduced a role playing element; as each game played earns the winning team money, and the amount won is directly related to the sum of theprestige ratings of the players from both teams (as prestige determines how many paying fans attend the game). The money can be used to purchase upgrades to the various abilities of players currently on the roster, or it can be used to purchase pre-designed players (available in the Rookie, Veteran, and All-Star categories). Also a first, a hidden feature allows players to purchase female baseball players. This thing sold FAST, too, and I understand. If I’d had a working NES to play this on, I might have been tempted to save it. This was part of a previously-mentioned find that included a Wayne Gretzky auto and the 1986 Donruss Rookies set at a thrift store in Maryland. In fact, it was in the pack with the Gretzky auto. Considering the pack with the auto cost me 80 cents and this card alone sold for a couple of bucks, I’d say the investment was worth it. This was another eBay flip that went from 50 cents to 2.00. Not a huge triumph, but the margin is excellent, and little finds like this add up. 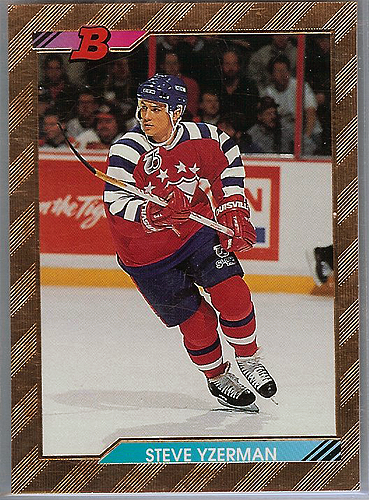 I also like the card, but I was a sucker for Igor’s Texas reign. Last, I haven’t decided if I’m going to unload this or not. 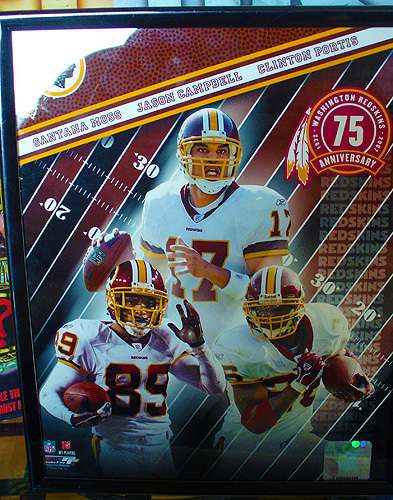 So only Clinton is still with the Skins, but at the same time…it IS the Skins. I’m just not sure where I would put it yet, and I’m not sure if it would sell for more than I purchased it for. Still worthwhile to own, either way. Let’s hope next week is a little more productive, though I’m going to be at The National Saturday, so I’ll have an abbreviated schedule. Perhaps I’ll feature my National finds here? We’ll see. 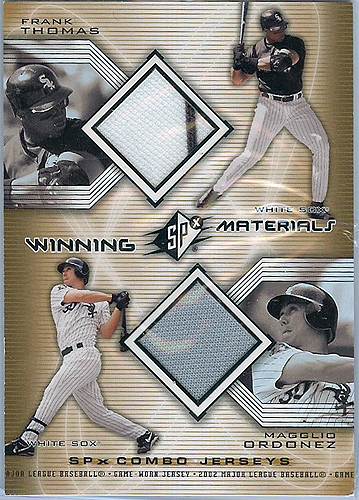 I mentioned earlier that I picked up a blaster of 2009 Spectrum. 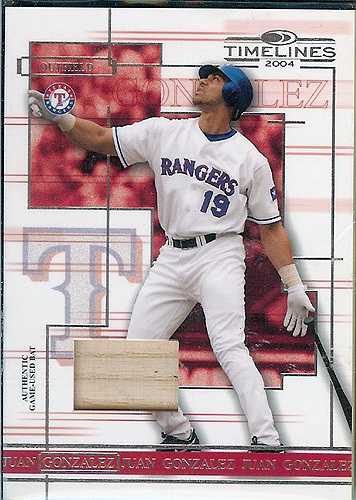 Rather than cover every card laboriously, I thought I’d hit the box highlights. Oh, and this is probably the laziest issue I’ve seen in a few years, featuring players in their 2007 uniforms yet labeled as their 2008 team. Pretty unacceptable in a 2009 issue, I’d think. You’ll see what I mean. Not to say I don’t like the cards, though. I have a Ryan Zimmerman and thought it was nice enough to buy the box, after all, and I don’t regret it. And that was my Saturday Break! I’m happy with what I got overall. Signed up for another group break on badwax.net and got my three packs today. These cards are absolutely gorgeous, AND I got a hit! Very nice. As always, shoot me an email at crimnos at gmail.com or comment if you want some of these. And yeah, it’s die cut and numbered to 250. As I said, gorgeous cards. I could do with a box full of them, and I really want some Expos. Nice break!